Wanna play junior golf tournaments? Where do I play? The pathway below is the best order to follow for a new golfer. Golf is a game that lasts a lifetime. Whether you are new to the game or a seasoned junior, the CJGA provides environments that are competitive, educational, fun, and safe for all. Learn to compete through their various age divisions. The Maple Leaf Junior Golf Tour (MJT) is the number-one played junior golf tour in Canada and is your Road to College Golf, and conducts the MJT Mini Tour for boys and girls ages 12 & Under, which introduces playing golf over 9 and 18 holes while exposing players to their first tournament experience. Golf Ontario is the provincial sport organization for golf and as such operates a provincial competitive pathway for golf in Ontario. To enhance the competitive pathway across all regions, and player levels, Golf Ontario is partnering with Ontario Regional Tours and National Junior Tours that run junior events in Ontario. Founded by Chris Smeal, PGA in fall 2003, we are experts in junior golf player development & host of some of the world’s largest and most exciting junior golf tournaments. Our tournament headquarters and golf academy are located at Stadium Golf Center in San Diego, CA. 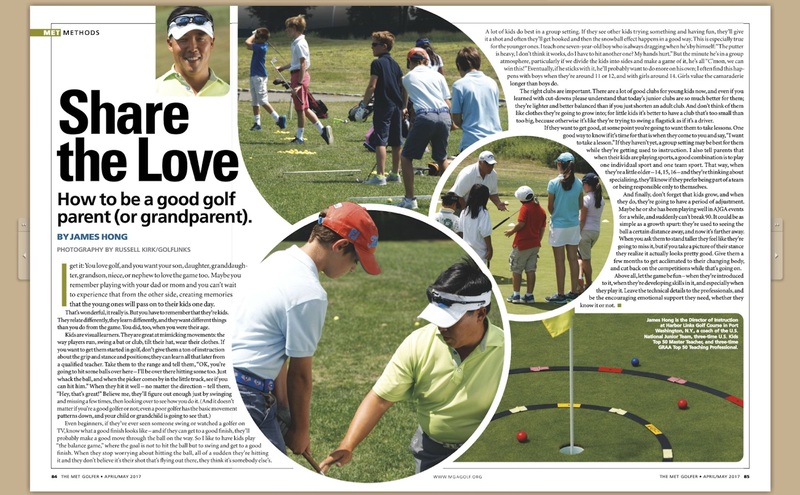 We want every kid to LOVE the game of golf. Start anytime! Compete in the Future Links Skills National Event Challenge or compete at the National amateur level through Golf Canada Junior Championships. the AJGA not only takes great pride in our commitment to the growth and development of our members, but also junior golfers at the grassroots level across the country. The AJGA strives to make contributions to local junior golf charities in each community that hosts an event. The junior-am fundraisers are a tremendous resource for these donations. We are fortunate that our sponsors have supported our vision to grow junior golf at every level from local to national.